Coconut. 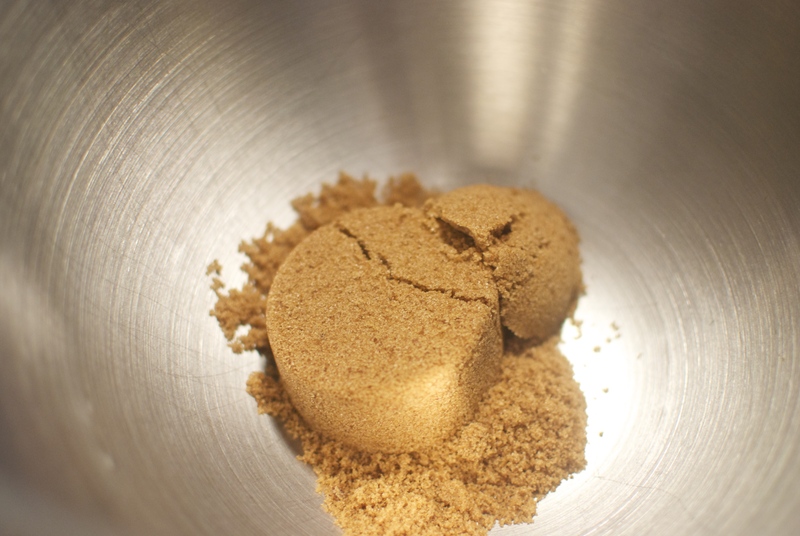 Brown butter. Cookies. Need I say more? The second I laid eyes on this recipe from Smitten Kitchen, I knew I would have to try it sometime. It’s so simple, but the flavors and textures are to die for. 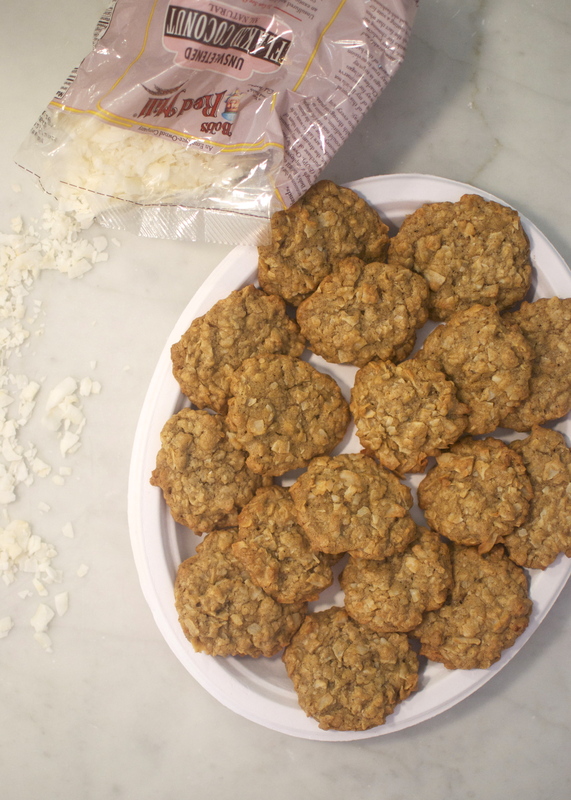 If you love coconut, or really just cookies in general, you need to give this a go. 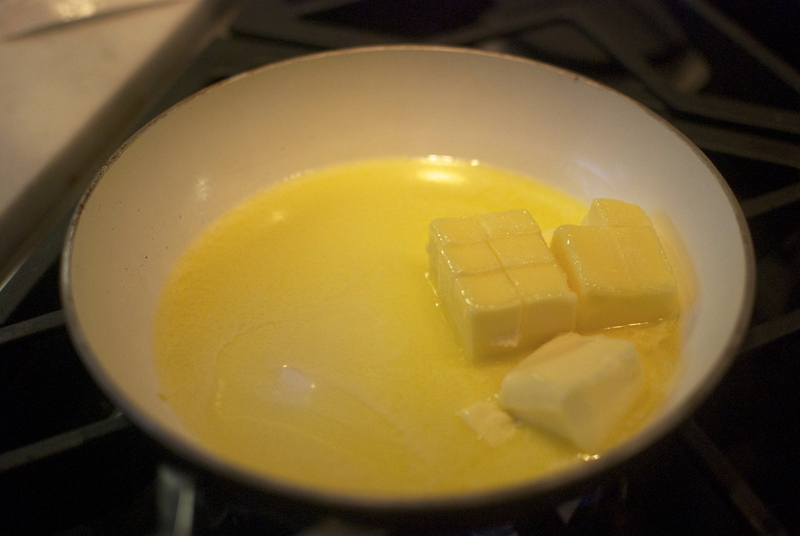 We’ll start with… you guessed it: browning the butter! 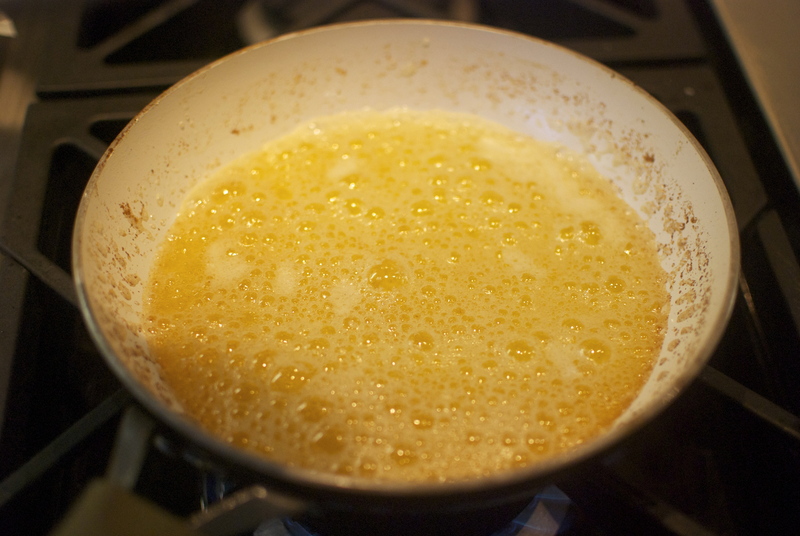 Plop the butter in sauce pan over medium heat and allow it to melt. Now, I halved the recipe for these, so my proportions will look a little off from yours if you decide to make the full version. You may need to stir the butter around a bit to make sure it doesn’t burn. At this point, the butter was almost ready to come off the heat. 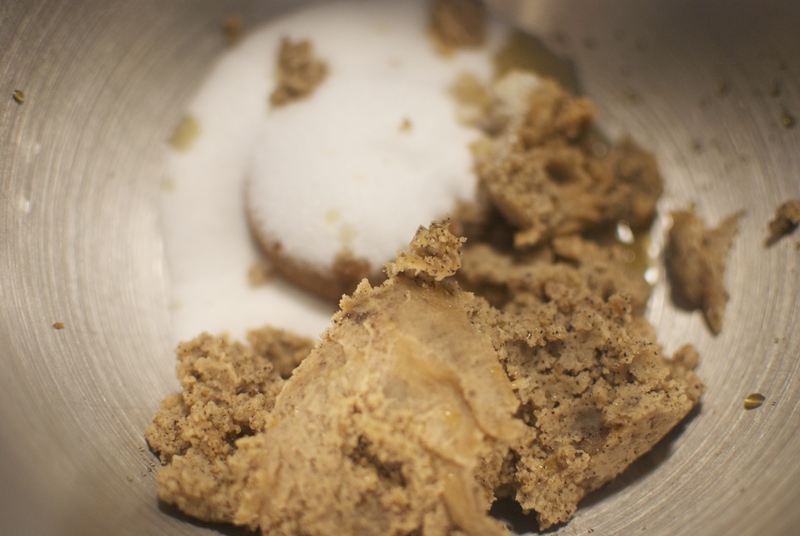 You want it to bubble and turn from golden to brown (it’ll smell nice, too). You really, really don’t want this to burn, so keep in mind that it will continue to darken just a little after you remove it from the heat. See that gorgeous color? It should smell nutty, too. Next, add just enough water to bring the amount back up to 1 cup (or 1/2 a cup, depending on how many cookies you’re making). 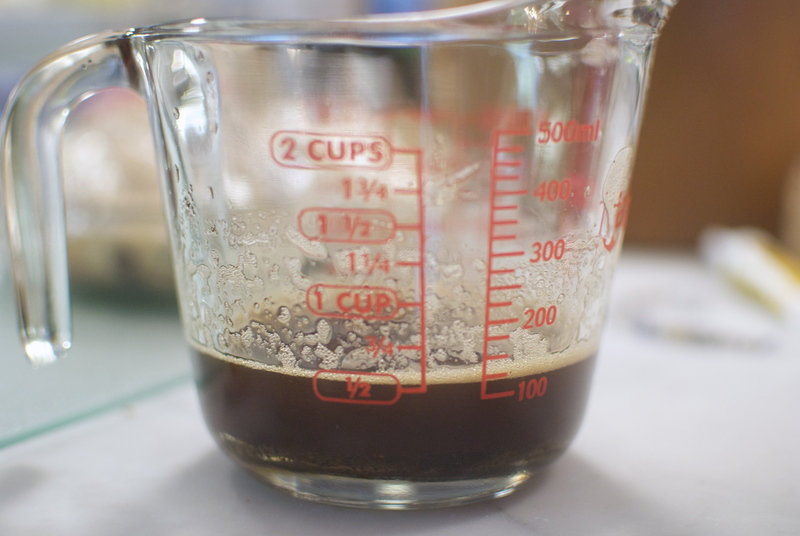 This will probably be about 2 tablespoons for the full recipe. Chill this in the fridge until solid (1-2 hours), or put it in the freezer and check on it often to make sure it firms up evenly. And that browned buttery goodness. 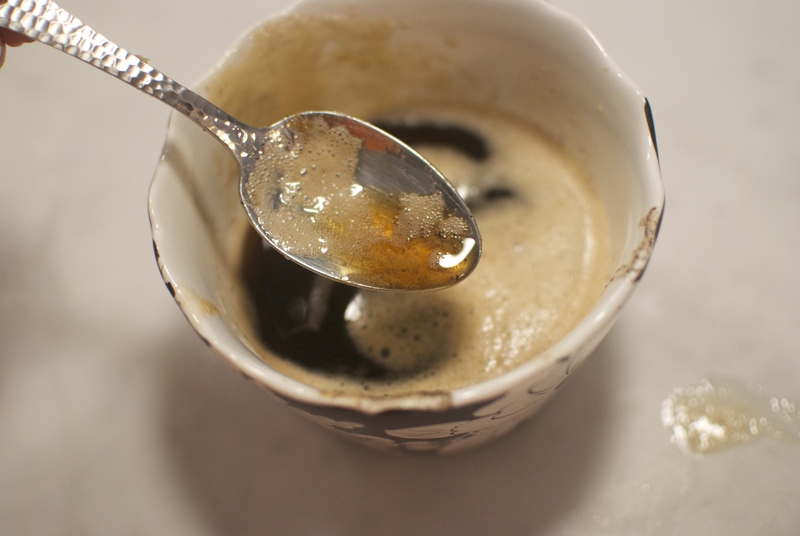 Crack in an egg and beat together, then splash in some vanilla and give it a stir. Time for the dry ingredients! 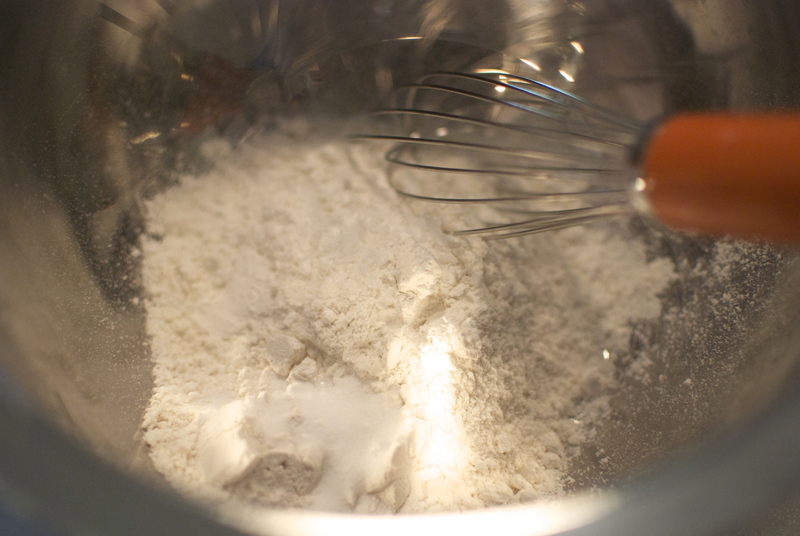 This is just flour, salt, and baking soda. Give it all a whisk. Now just add this to the wet ingredients, first mixing in one half, then the other. 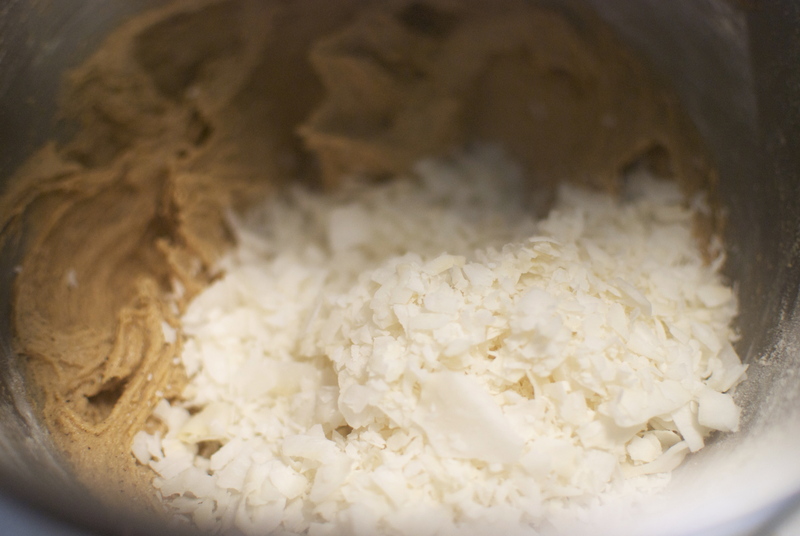 In goes the coconut! Again, add a half at a time. Then flatten the tops slightly. Make sure to leave room for them to flatten. You can absolutely make these larger if you want to– just adjust the baking time as needed. 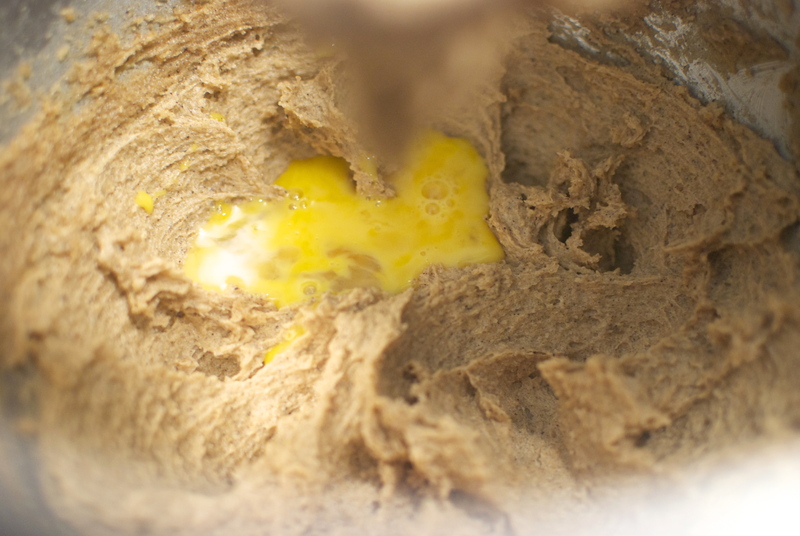 Bake at 350 F for 10-11 minutes, or until the cookies are dark golden in color. 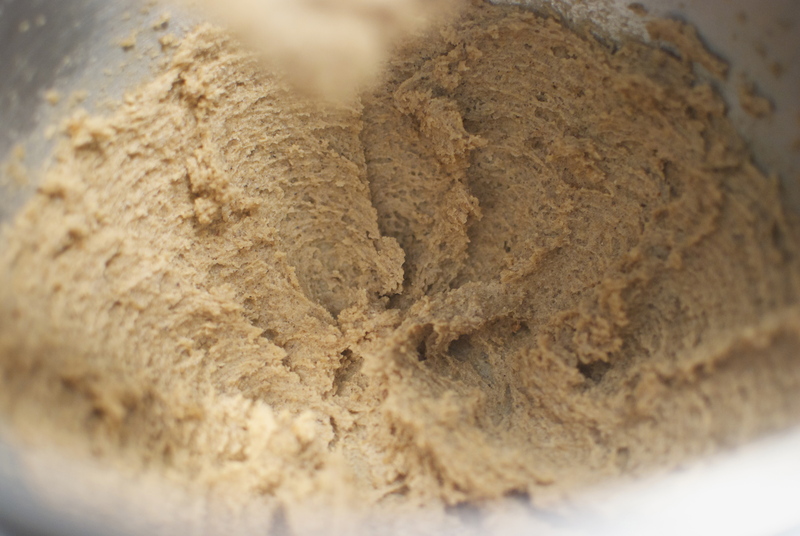 If the cookies don’t spread enough, you may need to add another tablespoon of water to the dough. These are insane. In a good way. 4 cups coconut chips, dried and unsweetened. 1. 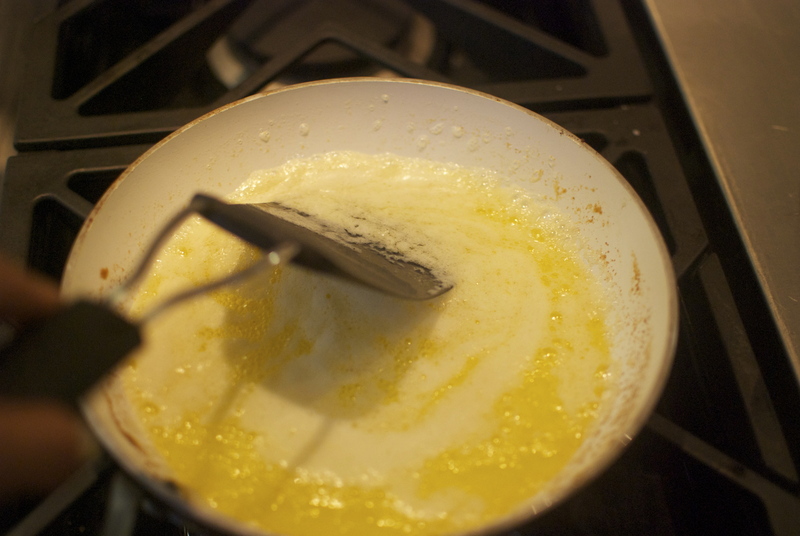 Place the butter in sauce pan over medium heat and allow it to melt. You may need to stir the butter around a bit to make sure it doesn’t burn. Wait for it to bubble and turn from golden to brown (it’ll smell nice, too). You really, really don’t want this to burn, so keep in mind that it will continue to darken just a little after you remove it from the heat. 2. 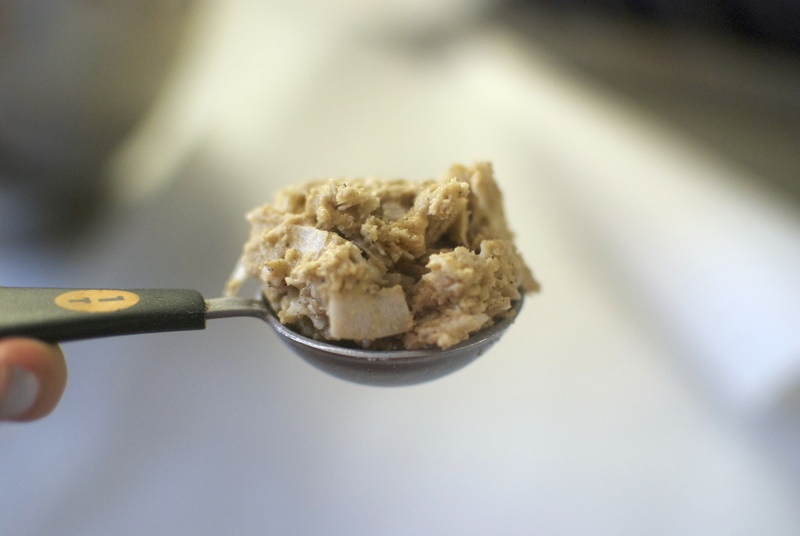 Pour the butter and any brown bits at the bottom of the pan into a measuring cup and add just enough water to bring the amount back to 1 cup (about 2 tablespoons). 3. Chill butter until solid, about 1-2 hours, or put it in the freezer and check on it often to make sure it firms up evenly. 4. 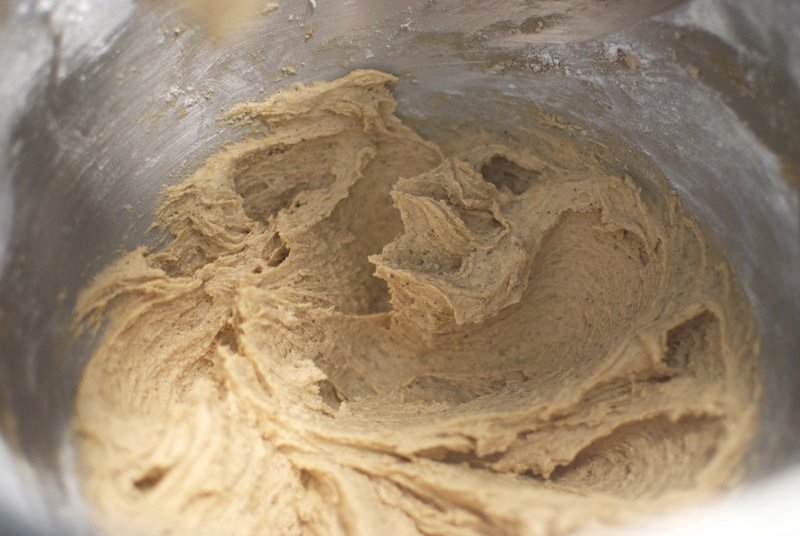 Once the butter is chilled, preheat the oven to 350 F and cream together both sugars and the butter in the bowl of a stand mixer (or a large bowl if using a hand mixer). Beat in the egg, then the vanilla. 5. 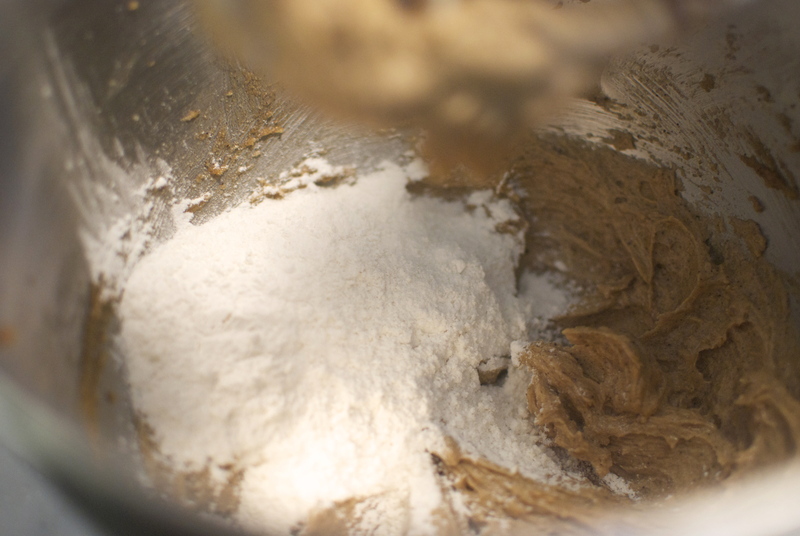 In a separate bowl, combine the flour, salt, and baking soda. 6. 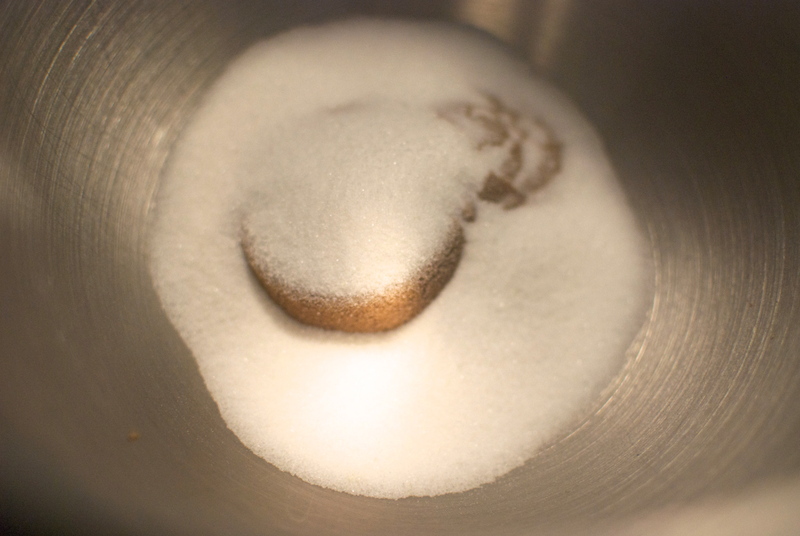 Add this to the wet ingredients in 2 additions (you may need to scrape down the bowl). 7. Add in the coconut in 2 additions as well. 8. 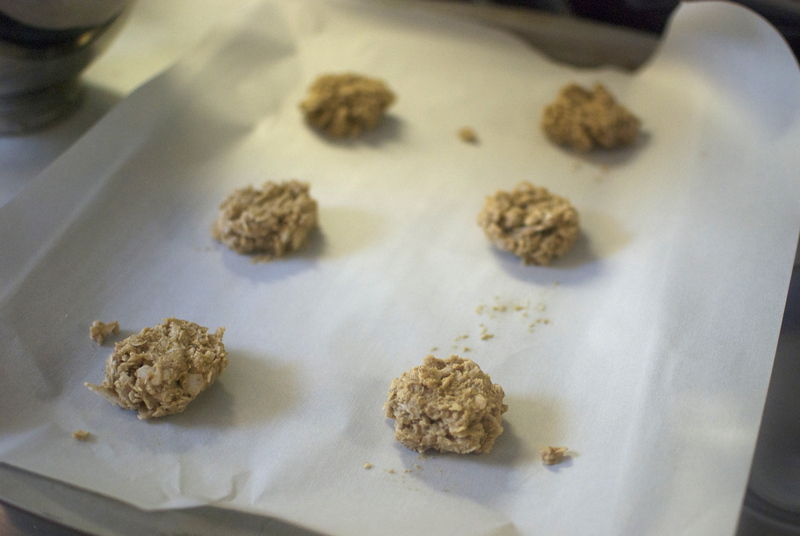 Scoop by the rounded tablespoon (or more if desired) onto parchment lined baking sheets, giving each room to spread. Bake for 10-11 minutes, or until the cookies are dark golden in color. 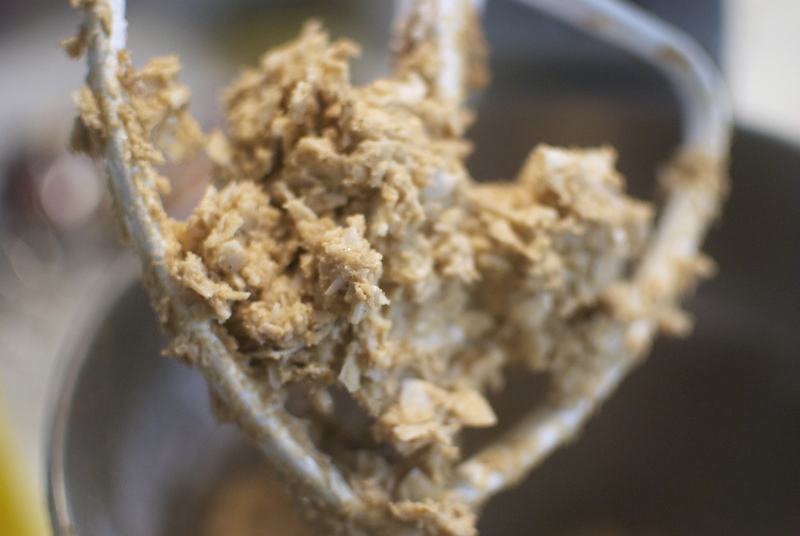 If the cookies don’t spread enough, you may need to add another tablespoon of water to the dough. Eat and enjoy. These cookies have definitely been one of the highlights of my baking (and eating) life. Happy nibbling!